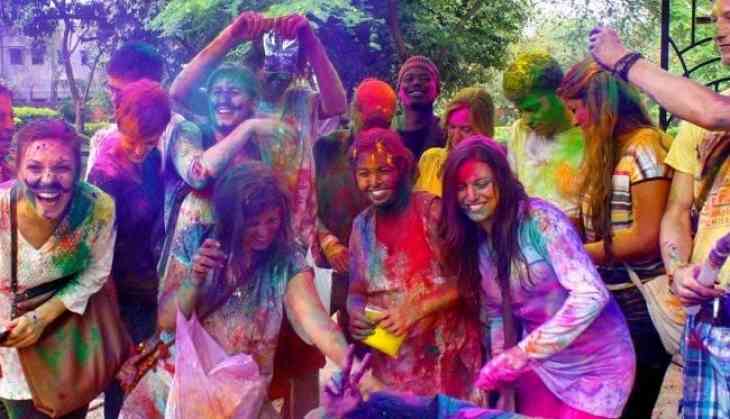 Colour-smeared people greet each other and spread happiness, as the whole country celebrates Holi with great fervor on Friday. While people are celebrating the festival with their families, Border Security Force (BSF) personnel are observing the festival with their colleagues at borders. Meanwhile in a bizarre way of celebration, people of Allahabad celebrate 'kapda faad' Holi where they rip off each other's clothes. On this occasion, people apply colours in each other's face and relish the festive sweet 'Gujiya' and have 'Thandai' with friends and family during the evening. A day before Holi, people celebrate Choti Holi, where they burn stash of woods to fend off evil. Amritsar, Kanpur Varanasi, Ahmedabad, Tripura, Ludhiana, Bhopal are amongst the few cities that celebrate the festival in a grand manner.